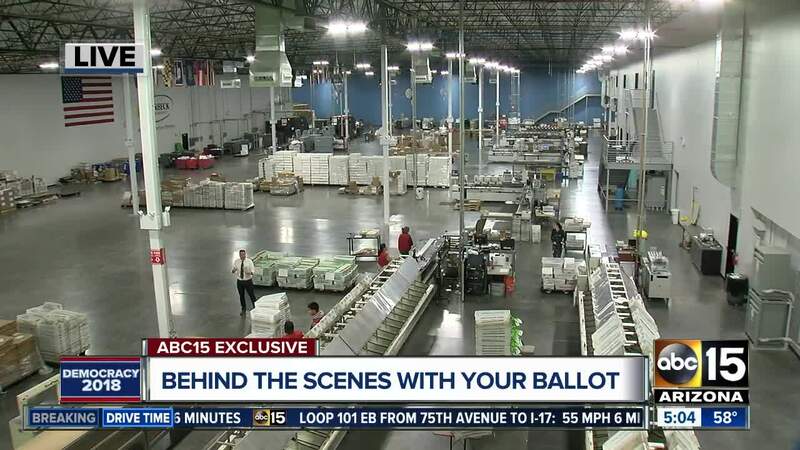 Inside the warehouse where Arizona ballots are printed and processed prior to the midterm election. Arizona plays a bigger role in the election process than you probably realize. 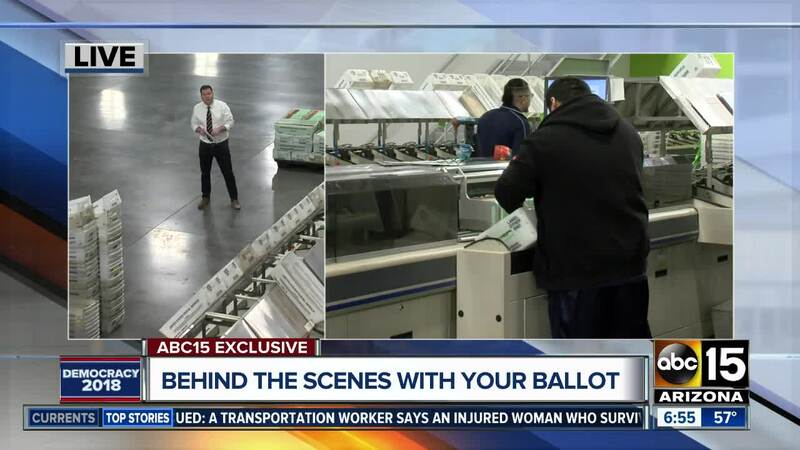 ABC15 was granted rare access inside Phoenix-based company Runbeck Election Services to see how ballots are printed and verified. 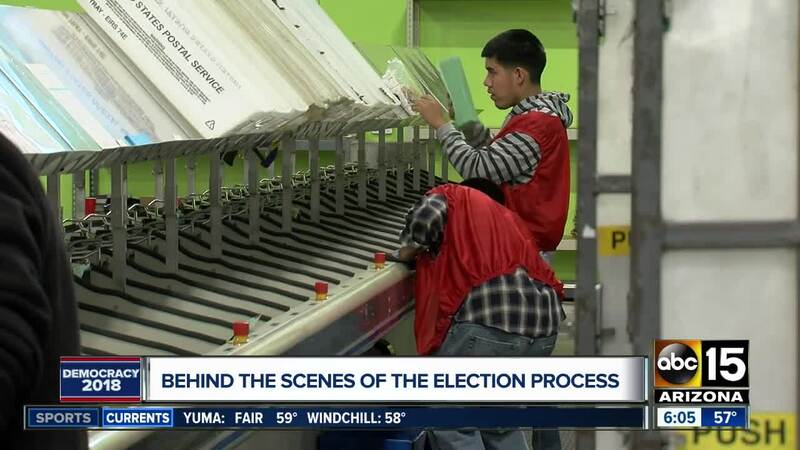 In business for 40 years in Arizona, Runbeck prints about 80 percent of the ballots for Arizona. They also send ballots and election services to 16 states overall, including 160 counties. For the 2018 midterm election, it's estimated Runbeck will impact or touch 25 million voters in some way and they'll print about 14 million ballots. Just weeks ago, crews were running 24 hours a day to keep up with ballot printing demand. Now the focus is on verifying returned mail-in ballots for Maricopa County before sending them out for tabulation. "We'll mail five to six million ballots out of here in the course of a week and a half we have to rely on technology to make sure we get it right," said Kevin Runbeck, CEO of Runbeck Election Services. That technology in play throughout their brand new 90,000 square foot warehouse in Phoenix, home to around 85 employees. After the midterm elections, Runbeck will start work on various municipal elections in March and they're already looking ahead to 2020.